If you’re interested in living in one of the most historic southern neighborhoods in Atlanta then explore Grant Park. 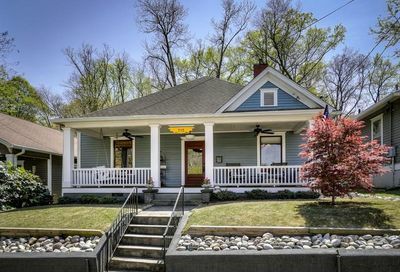 Atlanta Grant Park homes for sale include charming vintage Craftsman bungalows plus condos, townhomes and converted lofts. Grant Park offers a convenient location. And with the Atlanta Beltline, Grant Park real estate is in more demand than ever. Atlanta’s Grant Park neighborhood is home to one of the best parks in the city. As such, Grant Park residents enjoy countless fantastic events. For example, the Grant Park Candlelight Tour of Homes, the Historic Grant Park Annual Tour of Homes and Summer Shade Festival. If you’re a buyer or seller looking to connect with an Atlanta Grant Park real estate agent with 20+ years of local neighborhood experience, talk with us we’re here to help you. Explore Grant Park real estate listings below or read more about living in Grant Park. 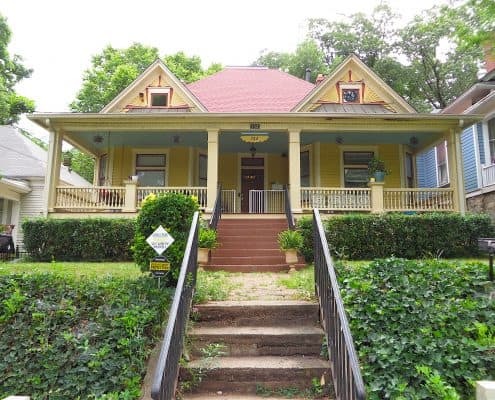 Today, people are attracted to Atlanta Grant Park real estate for great values on lovingly renovated historic homes. For example, Grant Park is home to many Craftsman bungalows. Plus the neighborhood offers convenient access to almost anywhere in Atlanta. In addition, there’s the Neighborhood Charter School (K-8), great restaurants and of course, the park. Grant Park is one of Atlanta’s first suburbs. It’s conveniently located near the very center of Atlanta. The neighborhood is bound by Oakland Cemetery to the North, Atlanta’s Beltline on the East and South, and the Summerhill Neighborhood on the West. No matter your preferred mode of transport, Grant Park’s central location makes it super convenient. Live in Grant Park and your just10 minutes to both domestic and international terminals of Hartsfield-Jackson Atlanta International Airport. Flying private? Charlie Brown Airport is just a 10 minute drive West on I-20. And DeKalb Peachtree Airport is just 15 minutes up I-85. Grant Park has easy access to I-75/85 and I-20. Commute to anywhere in metro Atlanta, fast. Walk or bike to the MLK rail station. Or hop on one of two bus lines that serve the neighborhood. Grant Park is a haven for walkers and bicyclists alike. Sidewalks line almost every street and the park is always just a few blocks away. Buy or repair your bike at Loose Nuts or build your own at SOPO Bicycle Cooperative. Then cycle to work or along on the fantastic Beltline! Read more about why Grant Park is one of the best Atlanta neighborhoods for cycling. When your friends and family come to visit you’ll have plenty to do and see. This compact zoo is home to the largest gorilla population in the country, five Giant Pandas, 50 species of birds and 40 species of mammals, and over 1,300 animals in total. The original Imax and 3-D experience. The Cyclorama is a painting in the round, measuring over 350 feet in diameter, depicting the famous Battle of Atlanta. An ingenious diorama was added later, lending a truly three-dimensional effect to the experience. The museum includes numerous civil war artifacts and features the locomotive “Texas” which was involved in The Great Locomotive Chase of 1862. A 22 mile network of railroads that encircles the heart of Atlanta is being converted to a pedestrian, bicycle and transit way. Grant Park is a big part of it. Numerous new parks are part of the master plan and one, featuring much needed multi-use fields recently opened at Boulevard Crossing. Learn more about the Atlanta Beltline. Atlanta’s first, it was designed as a park, where Victorian era visitors could celebrate the lives of their loved ones among beautifully sculpted grave markers and mausoleums. Today, Historic Oakland Cemetery is restoring the grounds to their former grandeur. Enjoy one of the festivals featuring stories about the residents presented by actors in period costumes, the “Run Like Hell” fun run, or attend one of the weekly guided tours. Grant Park is home to one of the city’s first charter schools. The Neighborhood Charter School serving Grades K-5 at the Grant Park Campus and grades 6-8 at the Ormewood Park Campus. Maynard Jackson High School has re-opened after a year-long total renovation and has earned the designation as an International Baccalaureate World School. For more options, Grant Park is centrally located between Atlanta’s best private Academies, additional charter schools, and is home to many home schoolers. Grant Park takes its name from the 131 acre park donated by Lemuel P. Grant in 1882. The neighborhood is home to Zoo Atlanta, the Cyclorama, and miles of pedestrian paths. All under a leafy canopy of trees. More than 2,600 historic homes surround the park. These homes represent the most popular architectural styles of the early 20th century. 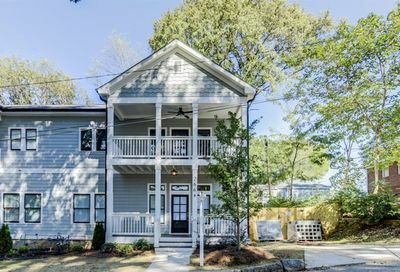 Atlanta Grant Park homes for sale then and now are known for their generous front porches, high ceilings, and big windows designed to let in the slightest breeze on those hot southern nights. Development of Atlanta Grant Park real estate started in 1880’s. Lemuel P. Grant began subdividing his land and when streets and trolley lines were extended to the neighborhood. Grant was an engineer, responsible for construction of several of Atlanta’s earliest railroads. He also designed the fortifications that protected Atlanta during Sherman’s famous Siege of Atlanta in the Summer of 1864. The Olmstead Brothers made plans for the park. It featured broad streets, a lake, promenade, carousel (now in Chattanooga), fledgling zoo, picnic pavilions and various fountains and statues. Grant built his own home on a prominent high point in 1857. A 3-story, 1,825 sf stone & stucco mansion featuring 20 rooms, 6 bedrooms and 9 iron and marble fireplaces. It would serve as a hospital during the civil war, be the birth place of golfer Bobby Jones and fall into disrepair. Then it was purchased by Margaret Mitchell, only to become almost completely dilapidated after her death. In the 1990’s the second floor was removed for safety reasons. In 2001 the Atlanta Preservation Center purchased the building. They made it their headquarters and began the painstaking process of restoring the home to its former grandeur. By the 1950’s two generations or more had grown up in Grant Park. They began to leave for new suburbs in Druid Hills, Collier Hills, and beyond. About this time, plans were made to build Interstate 20, and soon a two block wide swath would cut through the neighborhood. The decline of Grant Park was in full swing by the 1960’s. In the 1970’s young couples would begin moving back and doing what they could to stop the decline one house at a time. The Grant Park Neighborhood Association (GPNA) was founded by these true “urban pioneers”. The announcement that Atlanta would host the 1996 Olympics began a steady stream of new “urban pioneers”. These folks continued the restoration of Grant Park’s historic homes. 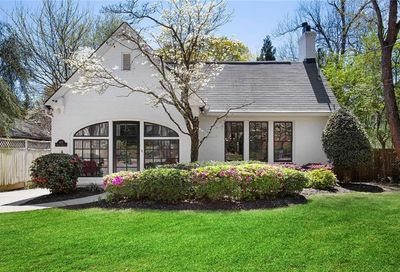 Today, Atlanta Grant Park homes for sale bear all the charm of the late 19th and early 20th century. And most boast the best of modern amenities inside. GPNA is the backbone of the community. Here is where almost anything is debatable and where neighbors have come together to do great things. Early on, the neighborhood association began to show off renovated homes and works in progress with a tour of homes. The tour was followed by a celebration called “The Moth Ball”, a tongue-in-cheek reference to Inman Park’s butterfly symbol. The association has sponsored committees that obtained Historic District designation from the City, found the Neighborhood Charter School, and Grant Park Conservancy. Grant Park is simply a great place to live. Read the top 10 reasons to love Intown Atlanta living, all these reasons apply to Grant Park. Plus it’s one of the most dog-friendly Atlanta neighborhoods! Though prices are up, there are still plenty of reasonably priced Atlanta Grant Park homes for sale. Atlanta Grant Park real estate offers home buyers significant value in comparison to many other Intown Atlanta neighborhoods. Looking for an Atlanta Grant Park real estate expert? Learn more about Best Atlanta Properties, we have over 20 years experience in Grant Park.